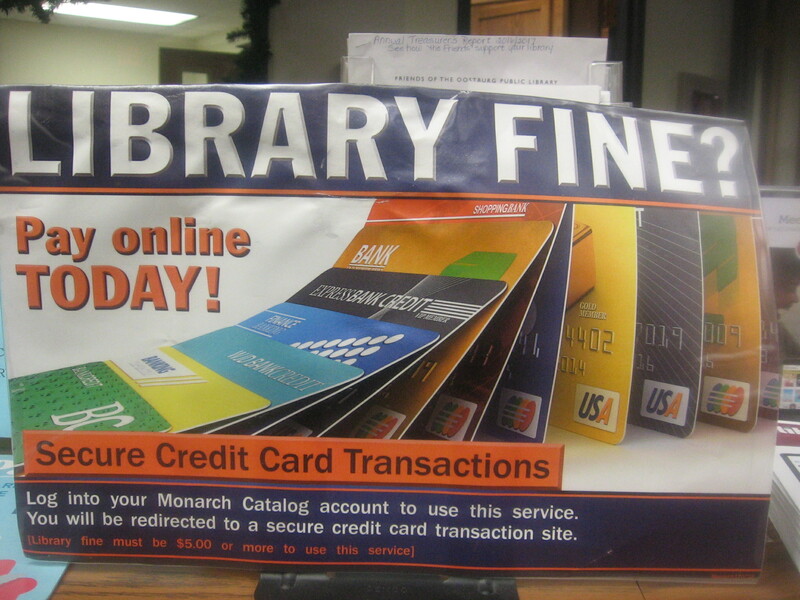 As part of the Monarch System, fines over $5.00 can be paid online. This entry was posted in Information by OPL. Bookmark the permalink.